The Ubuntu CD does not contain much in terms of software applications. So how can we incorporate other programs that would be made available after booting from a live CD? There is a program called Remastersys. This program creates an .ISO image of the Linux system installed on your hard drive. It's like putting the chicken back inside the egg with the added benefit of having all your applications already installed (Adobe Flash, GParted, Audacity and so forth). You can even use it to make a persistent USB stick! You must have Ubuntu already installed and running on your hard disk. I tried running it totally on my 8GB USB flash drive, but encountered a low disk space error. 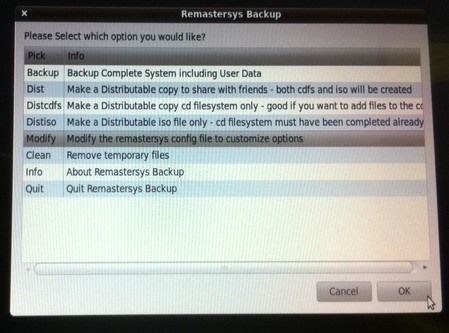 Install Remastersys thru Synaptic or by manually downloading the program and extracting it. Go to System > Administration > Remastersys Backup. Make sure no other programs are running and unmount all drives. 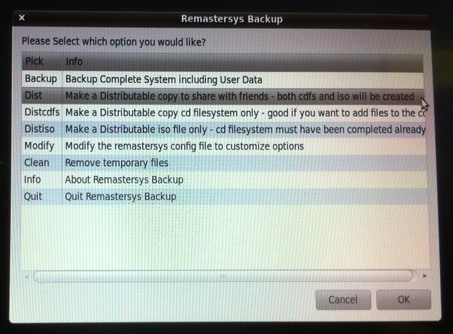 On the list of options, select "Modify the remastersys config file and customize options". Here you can rename your live CD title, username and so forth. The next option will be to "Make a distributable copy to share with friends - both CDFs and ISO will be created". I have a Remastered ubuntu 10.04 with a few pre-installed applications. It's about 1.4 GB and you can burn it on a DVD or install it on a 2GB (4GB recommended) usb. It uses the GRUB boot kernel from Karmic Koala and therefore, should be compatible with Laptops with Nvdia 9300M GS graphics. Just download the files and extract using the first archive. Note: This version does not install on your pc. But hopefully, I'll be able to upload the installable version (3.5GB) in a few days.